Real estate fixer-uppers have a simple formula for creating profit. The property owner adds value by doing a renovation. Buy a physically distressed property below market value, then fix it up to market standards and sell it at a profit. Simple plan, but hard to execute. But if it is done right, flipping fixers can earn the investor a nice profit. Real estate investing in physically distressed properties is a high-risk, high-reward activity. The goal is to buy properties at a discount, do a little bit of work and sell them for a significant profit. The problems are to lay out upfront money and the risk of unforeseen repairs. There is the risk of the real estate market price between the time of the purchase and the time the property sells. And a major cost is the carrying cost of the money to buy and repair money, if it is borrowed. A basic rental property is a tried and proven form of real estate investment. Simply buy a property and rent it out to a tenant. The property owner or landlord is responsible for paying the real estate loan, property taxes and costs of maintenance. Preferably, the landlord charges enough rent to cover the costs of the property. Or the property owner may also charge more in order to produce a monthly profit. Or charge enough rent to cover expenses until the property rises in value to sell it. Or more long term, pay off mortgage and have a property free and clear. The neighborhood will influence the types of tenants, vacancy issues, upkeep and the rent rates. Understanding the neighborhood dynamic is an important factor when choosing a rental property. Knowing the average rent in the area is key to profitability. Each property has features that make it more valuable or less valuable than the local market. This is another factor that will help determine the success of the rental property. Multi-family residential property usually provides the most stable returns by nature of more units to rent within a single property. A Multi-family residential property can help mitigate lost income because each tenant is on a different point in their lease or time renting. Multi-Family Residential Properties can be from 2 units on up. The real estate lending market is geared around the 1-4 unit property. If a real estate investor decides to buy a 5 or more unit property the loan becomes more difficult. A 5-unit or more property would fall into the commercial property classification. Multi-Family Residential Properties are defined by the number of units contained in the building. 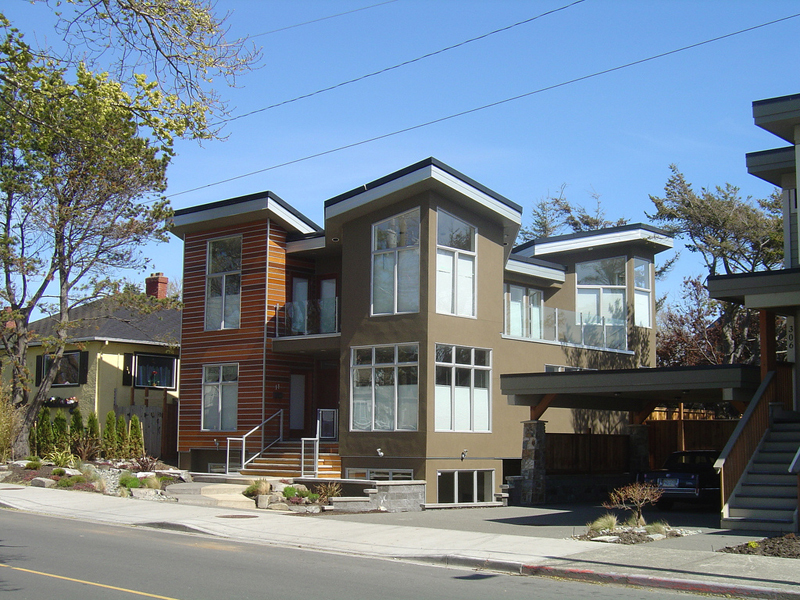 A duplex consists of two units per building; a triplex, three units per building; and a quadraplex, four units per building. Not all real estate investment works out. There can be a bad tenant who does not pay and damages the property. Or no tenant at all which creates a negative monthly cash flow. Real estate investing can be very profitable. And with the ability to use retirement money in accounts like a 401k, creates the ability to buy real estate with no loan. This removes much of the risk. What type of investment property should a real estate investor buy? Maybe a condo with some of the maintenance taken care of, would be the way to go, or a single-family home? Talk with a real estate professional at Coffee Real Estate. They will crunch some numbers and see what type of investing is right for you.